Errol Spence says he'd like a fight with Jessie Vargas – Can “The Truth” become the first man to stop Vargas? Errol Spence is thirsty for action, and so are his fans. The reigning and unbeaten (some say unbeatable) IBF welterweight champ made short work of undeserving mandatory challenger Carlos Ocampo on Saturday night, blasting him out inside a single round. Wasting no time calling for bigger and better fights/fighters, Spence called for the winner of the scheduled August clash between Danny Garcia and Shawn Porter. But seeing as how that fight, set for the end of August, has a great chance of being a very tough encounter, for both men, it seems unlikely the winner would be ready and able to fight Spence – arguably the division’s number-one – less than four months later. So Spence has a Plan-B: a fight with former WBA 140 pound and former WBO welterweight champ Jessie Vargas. This fight would prove interesting for a few reasons. Number-one, Vargas, 28-2-1(10) has never been stopped. Having fought top names such as Manny Pacquiao (the last man to beat the 29 year old “Pride of Las Vegas”), Tim Bradley (who Vargas stunned quite badly in the fading seconds of the 12th and last round of their June 2015 fight), and, last time out, Adrien Broner, Vargas is a very experienced fighter. But could Spence become the first man to halt Vargas despite this? 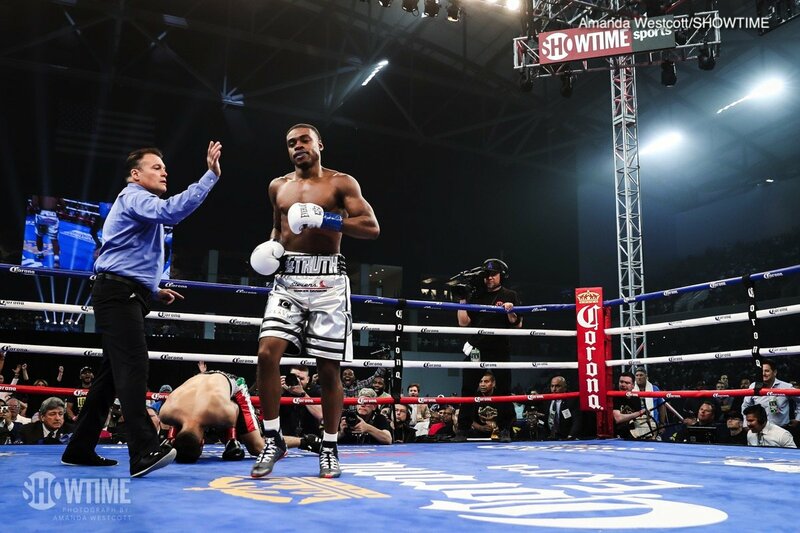 Spence, who is developing into a serious puncher, this asset matching his other notable talents, has stopped his last 11 opponents and he has not been taken the distance since back in June of 2014, when Ronald Cruz managed to extend Spence in a non-title fight. Vargas has a fine chin, he is young and talented himself, and Spence would be making yet another big statement if he did manage to KO him. But who would bet against it? With all the other current welterweight belt-holders busy, Vargas is probably the best available challenger for Spence (who, as he has made clear, wants ALL the titles at 147). But will Vargas relish the idea of facing Spence? Spence wants to stay active and he wants to fight nothing but the best. Might he have a real problem doing either? You are here: Home / Boxing News / Errol Spence says he’d like a fight with Jessie Vargas – Can “The Truth” become the first man to stop Vargas?